Oh, people will come. People will most definitely come. 1. Bull Durham: Crash Davis' "What I Believe In" speech offered words to live by. 2. The Natural: Roy Hobbs is still "the best there ever was, best there ever will be in the game." 3. 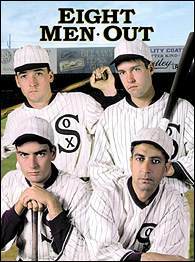 Eight Men Out: The details were perfect, and so was John Cusack's portrayal of Buck Weaver. 4. Bang the Drum Slowly: Dramatic performances overcame Robert De Niro's feeble attempt to impersonate a slugger. 5. Pride of the Yankees: Gary Cooper's stirring rendition of Lou Gehrig's "Luckiest Man Alive" speech lit up the first baseball classic. Honorable mention: The Bad News Bears, Field of Dreams, A League of Their Own. Those words were true in "Field of Dreams," and they were certainly true of Page 2's quest to crown the best baseball movie ever made. On Tuesday, Page 2's editorial staff ran its list of the top-five baseball flicks (see the chart at right if you missed our picks). We asked our readers to offer their choices, and we were overwhelmed when we received 1,456 letters in less than 24 hours. You crowned "Field of Dreams" -- which finished as an honorable mention on our list -- as the favorite baseball movie of Page 2 readers. 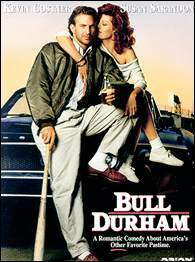 Our top pick, another Kevin Costner film, "Bull Durham," was ranked fourth by the readers. Here's a complete rundown of the voting, along with some of the best letters about each movie. Sure, the last person who wrote about strange voices and people walking in corn was Stephen King. 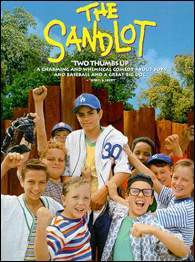 But who didn't want to pick up a glove and "have a catch" with their dad after this movie? And Ray Liotta's "I'd have played for nothing" speech should be played anytime the words "collective bargaining agreement" are mentioned ... or when Scott Boras lobbies for another $252M contract, further ruining the integrity of the greatest game ever played. A movie that's worthy of men crying about when it's over. This is the movie that brought me back to baseball. After the strike in 1994, I vowed never to watch, play, or be involved with baseball in any way. Then, I watched "Field of Dreams," and you couldn't drag me away from the ballpark. It's not just a movie about the history of the sport; it's a movie about the magic of baseball, and what it means to the people who play it or watch it. Baseball will never die. 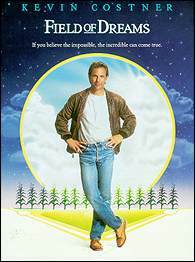 Although it's manipulative as hell and not for all tastes, my vote goes to "Field Of Dreams." To me, no other movie quite captures the way that baseball can get under a person's skin, sometimes to an unhealthy degree. I should know -- I actually knew that Moonlight Graham was a real player, and that he appeared in one game for the 1905 Giants without officially batting, before I saw the movie. You can say it's sappy. You can say they should've kept the ending from the book. You can even say (incorrectly) that it's not really about baseball. But the final scene makes all these arguments (and, for the most part, all other baseball movies) irrelevant. The true wonder of baseball is the bridge it builds between the generations, between fathers and sons. After all, if baseball is a game of heroes, who among us wouldn't admit that their first, last, and most important hero is their father? Actual baseball playing is on-screen for maybe 10 minutes total during the film. Costner plays a little catch, they show a Red Sox game, and the ghosts get in about two scrimmages. That's it. But moreso than any other film I can think of, "Field of Dreams" totally sums up what the game is about -- what it's like to be an American boy ... raised on the myths and numbers of baseball by your father, about discovering the flaws in the game, and your dad, and yourself. Every man and kid who sees this film thinks that it was made specifically about their father, and they're right. Maybe it's because I'm an Indians fan, but this is the first movie that ever made me cry. I still well up every time I see Willie Mays Hayes cross the plate, scoring from second on Jake Taylor's bunt. I know it's not the world's greatest cinema, but I find it very funny and moving at the same time. This movie did for baseball what "Slapshot" did for hockey, which is absolutely nothing. "Bull Durham" had too much of the romantic thing going. "The Natural" and "Field Of Dreams" had boring lulls, but "Major League" was a straightahead comedy and stupid movie about a terrible baseball team (I lived near Cleveland at the time) and the idiots who win the big game, even if the game isn't the World Series. Pointless, stupid, and above all, a great 105 minutes. With Bob Uecker! Come on, Bob Uecker! "The Natural" remains the best baseball movie ever made simply because it explores the obsessive pursuit of greatness, the childlike wonder, and the epic grandeur we associate with our National Pastime. No other film inspires an unsentimentally realized nostalgia, beautifully capturing the era of baggy pants uniforms, a time when men wore fedoras and ties to the stadium even on the hottest of afternoons. While "Bull Durham" is most certainly funnier, and "Pride of the Yankees" a glorification of a true American hero, "The Natural" succeeds as that most precious of creations -- a uniquely American myth, suggesting that our most secret dreams might be within our grasp, after all. A great lesson on life. 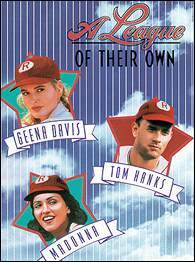 After a youthful lapse of judgment keeps Roy Hobbs from the game and the woman he loves, he must face a similar temptation when his second chance at life finally arrives. The baseball is a little corny, but with the exception of Roy's final at bat it is at least somewhat unpredictable. The ballplayers are great, their enthusiasm helps convey the value of Roy's gift. The cinematography throughout the movie is excellent. When Glenn Close appears in stands, dressed in white, with the sun above her head, she looks like a gift sent from above. This movie, while utilizing incredible cinematography and a riveting score, embodies the very heart and soul of the game in its early years -- young prospects living for the day they get a tryout for the majors, suffering defeat early in their career but making a tremendous comeback, young boys idolizing their favorite ballplayers, the setback of a slump and how outside-the-game circumstances affect it, and rising above the situation and somehow, someway, taking the team to glory. Redford seems to lift Hobbs to almost "Ruthian" proportions, Basinger plays the perfect femme fatale, and Glenn Close excels as Hobbs' love interest, and, in the end, the driving force that saves him from making choices that not only saves his team from doom, but himself as well. While the film's ending did not follow the novel's, it surpasses it in that gives an important moral lesson that can apply to anyone's walk of life. "The Natural" not only deserves the title of the best baseball movie of all-time, but also one of the best movies Hollywood has put out in the last thirty years. You can feel the sleaze emanating from some of the characters in this movie, from The Judge, to Max Mercy the sportswriter, to Big Gus, the bookie. All of them are trying to grind Knights manager Pop Fischer into the dirt, while making their fortunes betting against a pathetic group of underpaid players. Along comes King Arthur (Redford as Roy Hobbs), a Knight in shining armor, wielding Excalibur (a bat named Wonderboy) to save the day. Like every hero, Hobbs has his Achilles' heel, in this case, bad women. Barbara Hershey took him out of baseball 16 years ago with a silver bullet, and Kim Basinger is about to do the same with some poisoned treats. But, the aging hero has enough strength left to smack one final blow against the forces of Evil, and secure the pennant for Pop with one magical round-tripper. How can this not be the best baseball film of all time? First, it's got a great cast. Robert Redford looks like a baseball player. Robert Duvall is great as the old-time sportswriter, and if Wilford Brimley and Richard Farnsworth were managing my team, I'd feel confident of our chances. Second, it's got one of the more evocative movie scores ever recorded. If you don't get goosebumps when you hear Randy Newman's tinkling, hesitant notes that quickly turn into a cascade and then a thunderous waterfall, well you must be made of stone. Third, this is a movie that just loves baseball. Most "baseball" movies are not really about baseball, but about romance, fading dreams, redemption, etc. 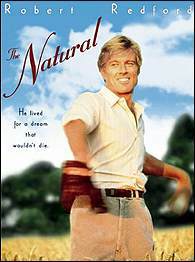 But "The Natural" is suffused with a pure love of the beauty of the game -- lots of slow-motion shots, plenty of baseball action, and especially crowd shots that make you feel like you're really at a ballgame, not just watching a bunch of hired extras cheering on cue. Finally, "The Natural" is a beautifully filmed movie. The colors are of a sun-drenched variety, bringing back memories of endless summer evenings playing ball. Late in the movie, the Roy Hobbs character says, "God, I love this game." He's got no wacky catchphrases, no passionate speeches, no over-the-top dramatics. It's just an earnest love for baseball. Millions of baseball fans understand what he means. With all of the hoopla surrounding our big-name players we sometimes forget about the lives of those in the small towns who are just trying to make it. After watching this movie just once you fall in love with baseball and the small towns of America. It is "Bull Durham," but not for the speech. It is for the whole explanation of shower sandals and the meaning of their condition at the level you're at. "Bull Durham" is the best baseball ever made, plain and simple. The baseball action is fairly realistic, and the movie doesn't get bogged down in a love story ("For the Love of the Game"), mysticism ("Field of Dreams"), a morality play ("The Natural," "Eight Men Out"), some sick guy dying ("Bang the Drum Slowly," "Pride of the Yankees"), Anthony Perkins going nuts ("Fear Strikes Out"), or other nonsense ("Major League," "Mr. Baseball"). It's not the best movie which involves baseball. But it's the best movie about baseball. Baseball is the main character in Bull Durham. Crash Davis epitomizes what is best about the game -- the die-hard guy who doesn't take himself too seriously, but still is unwilling to do anything other than call things as he sees them. "I believe in the Church of Baseball. I've tried all the major religions, and most of the minor ones ... I've tried 'em all, I really have, and the only church that truly feeds the soul, day in, day out, is the Church of Baseball." What other movie could possibly bring us back to our childhood in such a way that we all could relate to the purity of the game? Of course, the classic scene of the boy at the swimming pool faking death to kiss the woman of his dreams was great, too. It accurately portrays what it was like to play in the neighborhood backyards. None of us would ever play in Dodger Stadium, but we all had to avoid a fierce dog. 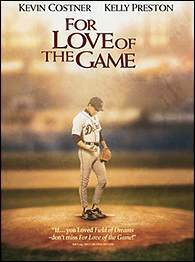 This movie not only dealt with the sport of baseball, but with the how the athletes life revolved around it. Kevin Costner's character did not know how to love anything but the sport. Any athlete who saw this movie could relate. When love actually came into his life, he knew it was there, but wasn't sure on how to accept it or how to give it back. The baseball scenes were great and added that extra emotion to an already emotional film. Maybe too much romance for all you manly men, but I wouldn't considerate it romance as much as I would considerate it being just what happens in life. It was his love for baseball as well as his love for her and hers for him that helped him pitch that no-hitter. Love helped him perform the best he has ever. Any real man or athlete felt this movie the way I felt it. Excellent movie. John Sayles just makes great movies. He avoids the maudlin, overly philosophical "gee, baseball is wonderful" garbage that drags down most baseball films. He reveals how ruthless and manipulating the owners really were, and how the players came to be because of it. There are great characters, great actors and some pretty good looking baseball players. Plus, a Charlie Sheen movie in which you aren't annoyed by him is a rarity. It looks and sounds authentic. Most baseball movies get overly moral or preachy, but this flick lays it out objectively. You can debate whether the eight White Sox got what they deserved, but you cannot deny the overall tragedy of the situation. "Eight Men Out" is a passionate film about America's Pastime in a day and age when the ballplayer was only looking for a fair wage and a bubbling bottle of champagne. Director John Sayles nails the feeling of "Old-Time Baseball" perfectly from the costume design to the dialogue. From the stadiums to the cigar chewing, typewriting, straw hat wearing, sports reporters of the day. Robert Merill sings the National Anthem through a Megaphone. Icing on the cake. "The Bad News Bears" is the best baseball movie, for the simple reason that most Americans, having played or participated in Little League, can relate. Not only was it a classic story of underachievers playing beyond themselves, as far as I can tell, it was the first movie to deal with "sports" parents in any meaningful way. And, it is downright funny. Being a woman whose life outside of work has included baseball from the time I was 5 or 6 until today at 43, it was the first movie that really included me. It confirmed baseball as a game for all. The love of the game, the fans, the women's dedication, and the real tear-jerker comes when the women take their place in the Hall of Fame. You can talk about one man being the "Pride of the Yankees," but these women should be noted as the pride of WOMEN everywhere. No gimmicks, this is a movie that successfully tells one of the most poignant stories of sports lore. When watching this movie, the viewer is transcended to a different and innocent time where a hero lived his life and taught the people around him how to die. A classic in every sense of the word. Anyone who watches this film, is for two hours the "luckiest man on the face of the earth."